The design emphasizes both the senses of forward mass layout and downforce, evoking the powerful muscles of an athlete. 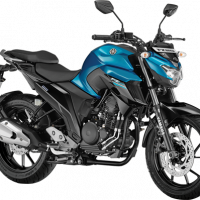 This newly launched street model delivers riding enjoyment as well as excellent fuel efficiency and environmental performance. 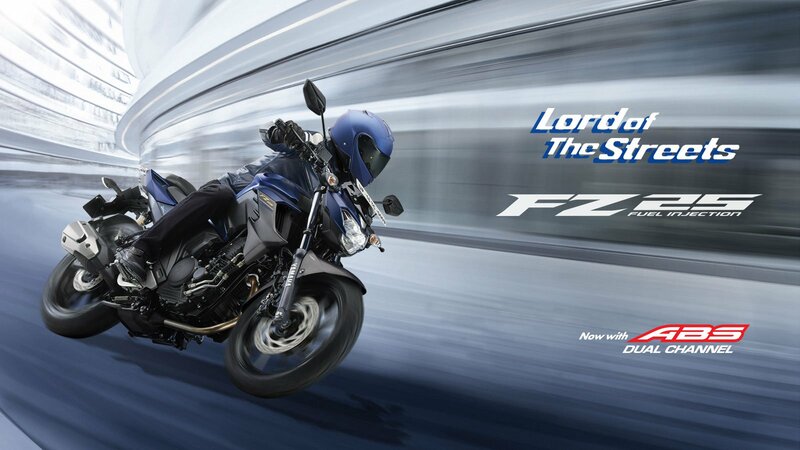 The all-new FZ25 has been developed with a newly designed air-cooled, 249 cc, 4-stroke, SOHC, 2-valve, single-cylinder, high-torque fuel-injected engine on a lightweight frame (148 Kgs) enabling the joy of control as the rider intends. 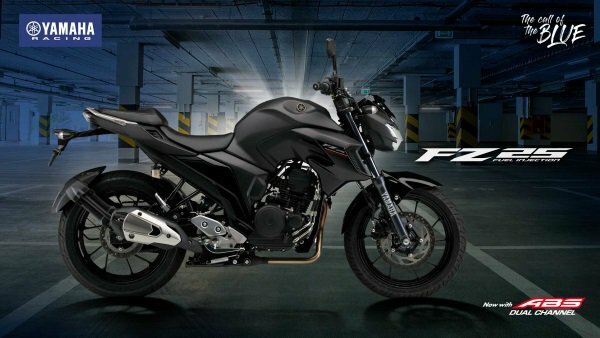 These features establish the FZ25 as a powerful, mid-class, street fighter. 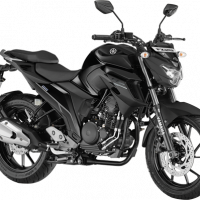 The FZ25 mounts a 249cc air-cooled 4-stroke, single-cylinder, SOHC, fuel-injected engine. 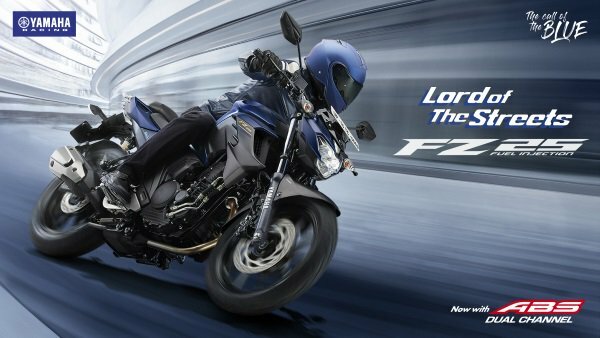 Based on a reliable 250cc single-cylinder engine proven on sport bikes for the Japanese market, the FZ25’s engine has been fine-tuned and optimized for the Indian traffic, primarily in the intake/exhaust system and the ignition system. 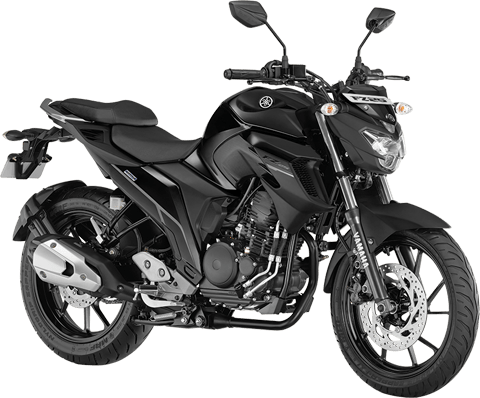 The 74 × 58 mm bore × stroke, hemispherical combustion chamber and 9.8:1 compression ratio give this engine its maximum power output at 8,000 rpm and maximum torque at 6,000 rpm. A midship muffler, with its advantages of mass concentration, weight reduction and shorter length, is adopted. 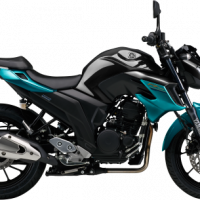 The resulting exhaust note communicates the euphoric joy of motorcycling to the rider while sending a distinct sound filled with presence to the surroundings. Bright, energy-efficient LED lights are adopted for the headlight, Tail Light and brake light. The LED lighting is characterized by its design for optimal illumination, especially the low-beam headlight. The headlight is a three-light type: two for the low beam and a third one below that comes on with the other two for the high beam. 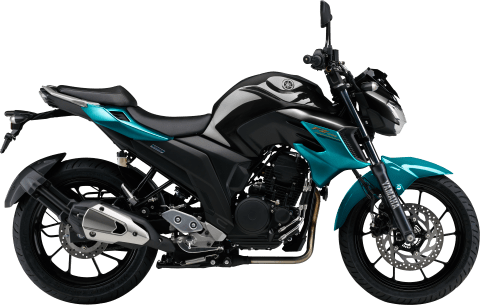 The rear suspension is a lightweight link-less Monocross suspension unit and it is also tuned for a good balance between the spring rate and damping force. 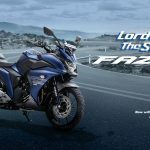 It provides 120 mm of wheel travel to keep the tyre in contact with the road, even on rougher road surfaces. The spring is a dual-rate type that provides a good combination of functionality and shock-absorbing performance. 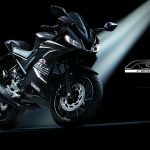 The sharp LED Tail Light creates a strong first impression the moment you look at it. 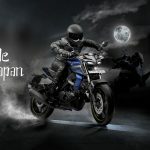 The 282 mm diameter front disc is coupled with brake pads using a new material (2-pot brake caliper) for good initial bite while also having minimal change in feel in wet conditions. 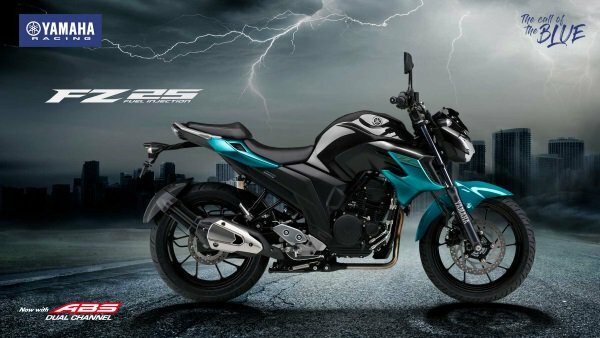 The brake lever is also newly designed for ease of grip and helps provide linear braking force in response to the amount of input. In the rear is a 220 mm disc brake with a single-pot caliper. 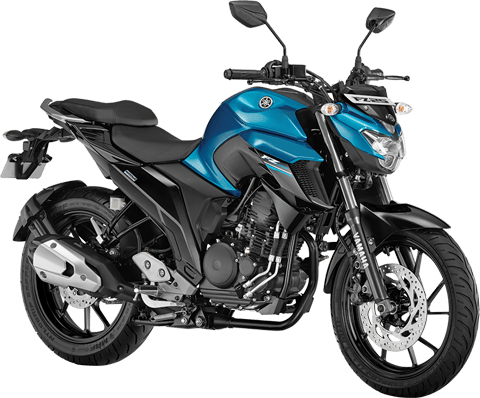 The 140 mm wide rear tyre adopts a specially developed compound formula that has good grip characteristics and a good feeling of contact with the road. The sizes of the tubeless tyres are 100/80-17 in the front and 140/70-17 for the rear, and they are mounted on newly designed lightweight wheels. Separate seats with slip-resistant cover material have been designed with a balance of shape, cushion thickness and other elements to ensure both a good feeling of fit for the rider and onboard comfort for the tandem passenger. The front portion of the tandem seat has a small bulge to bring a good feeling of hold even during acceleration and deceleration. The sitting point on the tandem seat is about 12 cm higher than that of the rider’s seat to provide good forward visibility for the tandem passenger.